It’s quarter past eight in the evening. Outside the wind is raging almost as much as the commuters who were forced to endure today’s tube strike, and will have to do the same tomorrow. Only tomorrow’s nightmare commute will be wet as well as windy, for the weather reports speak of more torrential rain and flooding on the way. It is February. It is cold. We Brits are not, it must be said, at our best under these conditions. And yet we know them all too well. I’m sitting in a state of panic-induced inertia; surrounded by ‘to do’ lists with a thousand thoughts careering around my head, like rockets let off by mistake at a fireworks display. In this state it’s hard to think in a rational way; what to do first, where to start. So tonight I’ve taken a new approach and lit a candle. 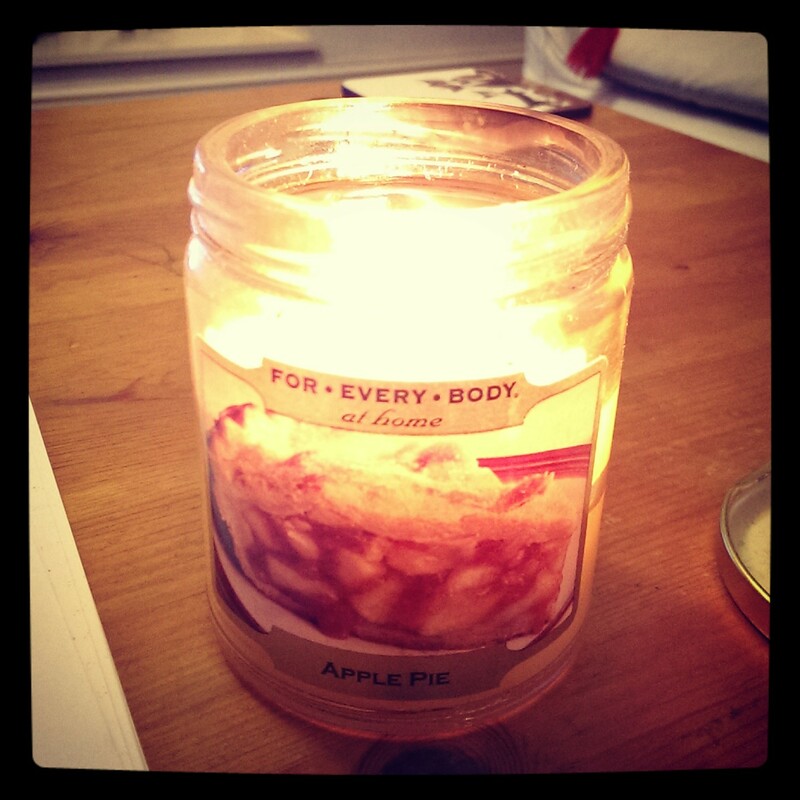 Apple pie scented. As I type this I’m watching it burn, the wax becoming molten, like lava: My own Vesuvius. But when will it erupt? Life is like a Sudoku puzzle; you reach a point when you think you’ve got it sussed, and then you realise that you haven’t and have to start all over again. So many questions, yet so few answers. So many options, yet so little time. I sometimes wonder if the God in whom I place my faith of there being an afterlife is watching us from Heaven and laughing at the tangles that we get ourselves into, weaving thread upon thread into impenetrable webs; fortresses of our own making. This entry was posted in Real life and tagged confusion, life, mystery, now, present, reality, stream of consciousness, thoughts by Belle365. Bookmark the permalink.